Water Damage New Jersey Team 24/7! Talk to any water damage New Jersey company when the winter months are at their peak, and you will learn that pipe freeze is a main cause for water damage that strikes homes across the state. During the recent cold snap, plumbers have stayed busy because the risk of our pipes freezing increases greatly. I’ve experienced a frozen pipe or two, and truth be known, they are one of the most common causes of having property damage during cold weather. Take it from someone like myself; a frozen pipe can cost you over $5,000 in water damages in no time at all. Another thing that I found out quickly is that the pipes that I have in my home that go unheated, such as the garage, attic and basement, are the pipes that are most likely to freeze. I’ve also had the pleasure of finding out that the pipes that run through my cabinets and along exterior walls are at risk of freezing as well. Below is some advice I can offer about how to prevent your pipes from freezing and if they do, how to effectively thaw them. Once I start noticing that the temperatures outside are plummeting, I take measures inside my house to keep my pipes warm and the water running. Some people go against this theory because they want to conserve water and heat, but the minor expense I pay to keep the water running is much less than an enormous repair bill I pay if the pipes freeze up and burst. • If you have water supply lines in the garage like I do, keep the garage doors closed. • In my bathroom and kitchen, I open all the cabinet doors to let warm air circulate all around the plumbing. Of course, if you have small children, take out any household chemicals and cleaners. • On my exposed pipes, like the kitchen and bathroom faucets, let the cold water drip through the pipes. Even a small trickle will keep your pipes from freezing up. • When I have plans to be away during cold weather, I always leave the heat on in my home and have the temperature set on at least 55° F.
• For a longer-term solution, I have added plenty of insulation to my attic and crawl space. Do the same if you have a basement. Insulation helps maintain higher temperatures in those rooms. If your pipes do end up freezing, you could be in serious trouble. If you turn on your faucet and nothing but a tiny trickle comes out, you can fairly suspect the pipe is frozen. 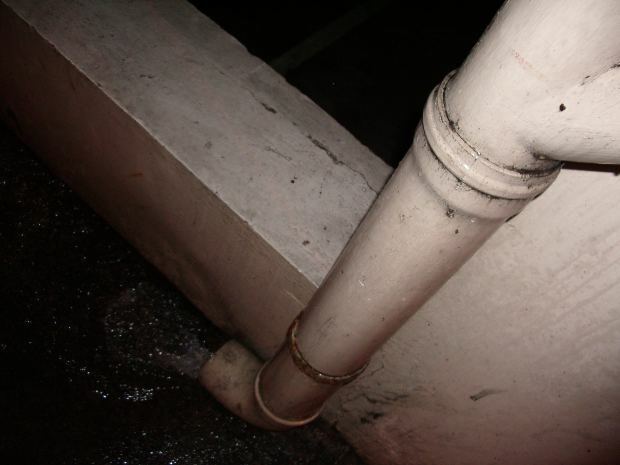 The more common areas for the pipes to freeze are where the water service comes inside your house from the foundation or on the exterior walls. • First, keep the faucet open. When I am treating a frozen pipe and the area starts melting, the water will start flowing out through the frozen areas. By keeping the water running through the pipe, the ice inside the pipe will start to melt. • I’ve also tried heating the frozen section of the pipe with an electric heating pad wrapped around it. You can also try a portable space heater, hair dryer or wrapping your pipes with towels soaked in really hot water. Never attempt to use a blow torch, propane heater, kerosene heater or any open flame devices. You could end up with a lot more damage than just a freezing pipe if you do. Bodily injury isn’t what we are aiming for. • I keep applying heat until I’ve restored full water pressure. Make sure you have no other frozen pipes in the house. When one freezes, there’s a tendency for others to freeze as well. • If all else fails and you can’t find the area frozen, or if it’s not easily accessible, you should call a licensed plumber. Again, I’ve learned the hard and expensive way that it’s a lot cheaper to leave my pipes dripping versus having a frozen pipe burst. Take it from me, it’s much easier to error on the side of caution and be prepared for frozen pipes.